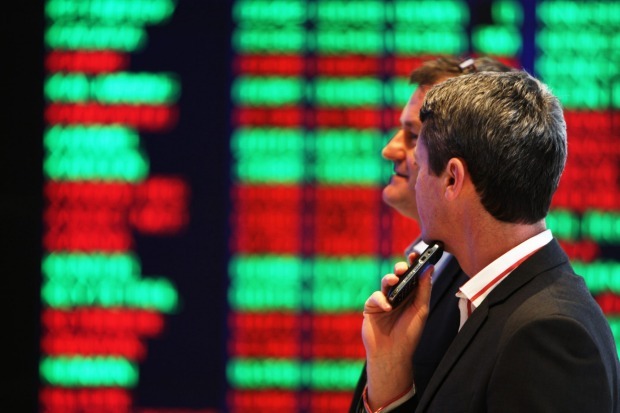 As most large cap managers will agree, the Australian sharemarket looks pretty fully valued. But in the cut and thrust of microcaps, where performance can go from feast to famine, one of the best-performing fund managers sees opportunity almost everywhere. “Even though the market’s expensive, we’re still finding plenty of value and growing companies that will deliver,” says Andrew Smith, the portfolio manager of Perennial Value’s Microcap Opportunities Trust, which returned 50.2 per cent after fees in 2017-18, which is 26 percentage points above the Small Ords Accumulation Index. Last year, big returns meant going small. 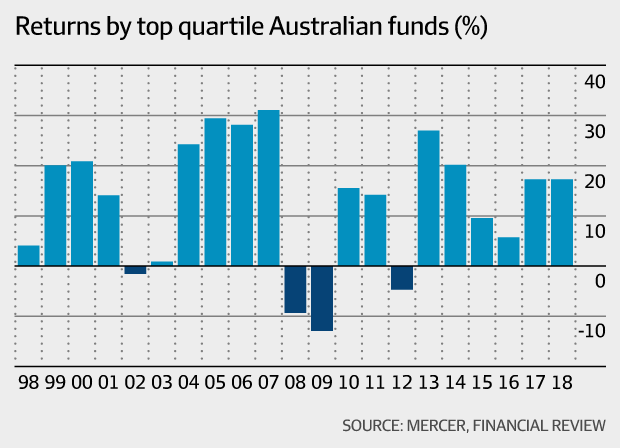 The median return by long-only large cap managers was 15 per cent before fees, according to Mercer’s survey of Australian share funds for 2017-18. Even hedge funds had a tough year, finding shorting a rising market to be problematic; the smaller long-short sub-sector of the survey returned 16.1 per cent. Two of the Perennial team’s top 10 performers were junior miners: Galena Mining, and Avanco Resources, which was acquired by OZ Minerals. But one of the most interesting finds by Smith was the $90 million HRL Holdings, an industrial stock that has acquired a New Zealand business, Analytica Laboratories, that conducts chemical testing in the food and agriculture, drug and environmental markets. It is the market leader in honey testing, where it tests for quality in Manuka honey, and has a sizeable presence in dairy testing. In NZ, approval from a ministry for primary industries-recognised lab is required for honey and dairy export. Smith recalls being the only fund manager sitting in a HRL presentation hosted by a broker years ago where no one else turned up. His interest was piqued because the directors had a large shareholding in the company, so he did some research and kept it on his watch list. 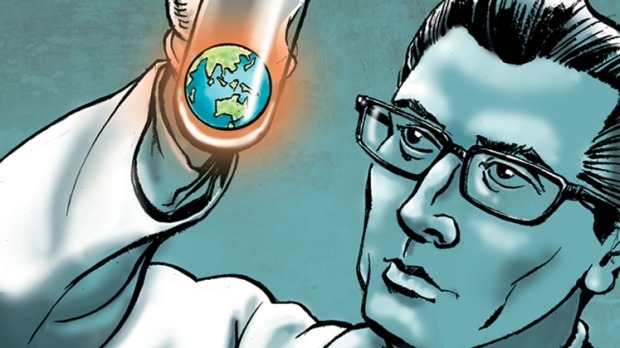 When the Analytica deal came around, Perennial Value was willing to back it. His six-person small and micro caps team sees 1000 companies a year, which is roughly half the universe of stocks to choose from. Another holding, the $20 million Oliver’s Real Food, downgraded in May, a month after new CEO Greg Madigan started in the top job. Previously at Subway, he has identified several ways to turn the business around, including self-ordering kiosks announced this week to cut waiting times and a store closure. “We didn’t panic, we looked at what was going on in the business. It was clear the existing store network were still growing,” Smith says. One of his colleagues spent two days driving up and down the Hume Highway visiting all the Oliver’s stores to test the team’s investment case. The Perennial microcap fund delivered its first full financial year in 2017-18, having only started in February 2017. The small caps strategy has a longer record of 11 per cent returns on average annually since inception in 2002 after fees. Mercer’s survey shows the median overseas share manager returned 15.6 per cent over 2017-18, led by Baillie Gifford Long Term Global Growth’s 43.9 per cent. International managers have the edge over five years, returning 15.3 per cent, versus 11.5 per cent a year, on average, for Australian equities managers. Returns are comparable over three years. The Perennial Value small and micro caps team. In Australian equities, several aspects of performance stood out: for one, the best-performing managers tended to do better than they usually do. That means the upper quartile of managers in the survey returned 17.3 per cent in absolute terms, higher than the average of the past 20 years (13.4 per cent), according to Mercer. So in spite of the drag from financial stocks, it was still the fourth best year of returns for upper quartile managers in the past 10 years. 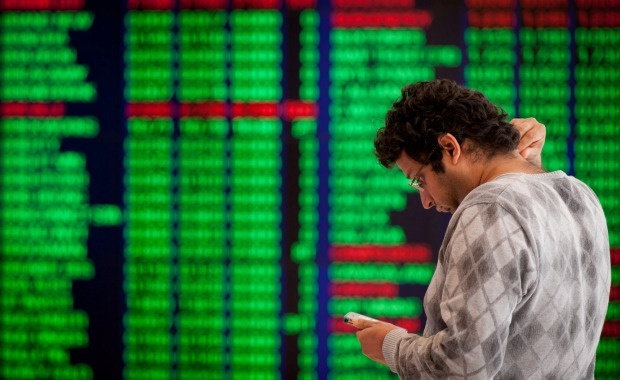 Income and targeted volatility strategies were underperformers, failing to beat the index. This should be no surprise, given the exposure to bank stocks income strategies tend to favour. 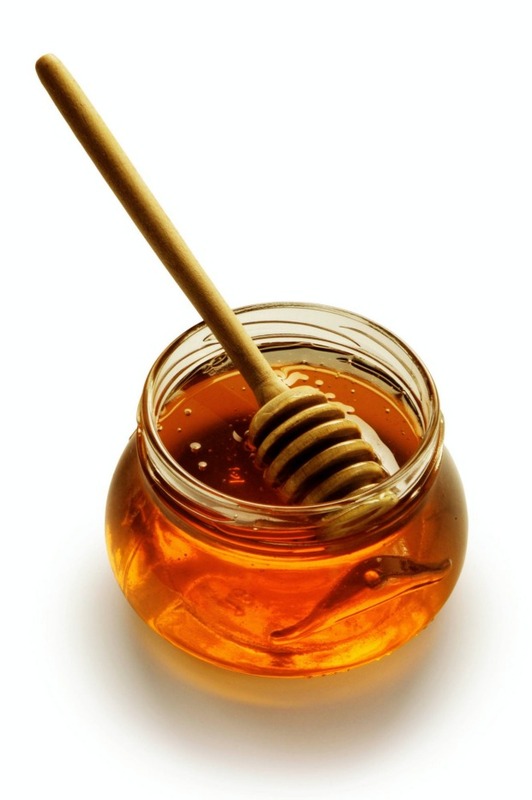 Analytica Laboratories is the market leader in honey testing, where it tests for quality in Manuka honey, and has a sizeable presence in dairy testing. At the top end of town, the strategies that performed best were growth and quality-focused, another blow to value styles, which have been out of favour. Winning fund managers also tended to take underweight positions in the banking sector. 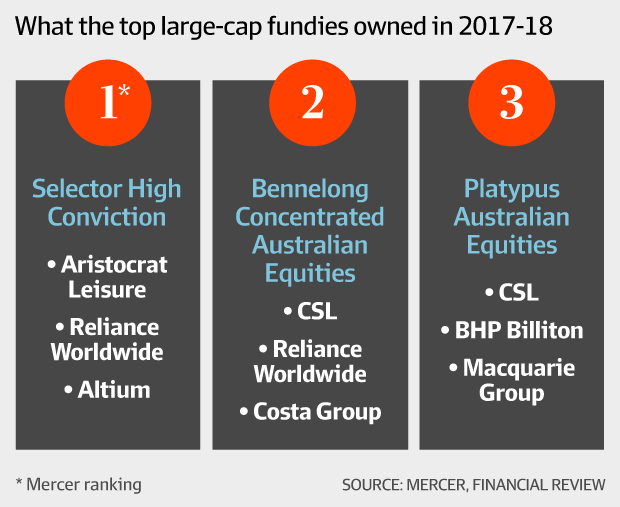 CSL, Aristocrat Leisure, IDP Education and Reliance Worldwide were popular holdings identified by Mercer among the most successful managers, as well as a tendency to take bets requiring real conviction. “Looking at the portfolios of three of the top five performers, Selectors High Conviction Equity Fund, Platypus Australian Equities and Bennelong Concentrated Equities, all are relatively more concentrated with higher active risk,” Seck says. Smith tends to own around 60 stocks in the portfolio at a time. But even in the small end of town, full valuations are to be found especially around the software as a service theme. “As value managers we look at cash flow, those sort of names Unless they look really cheap, they don’t come across our desk,” the fund manager says. The investment team sold Kogan.com on valuation and, following director selling this year, exited Topbetta (now The Betmakers Holdings) in February given balance sheet concerns, and Smart Parking in May following the “concerning” update regarding the UK operations. The Perennial microcap fund delivered its first full financial year in 2017-18, having only started in February 2017. The small caps strategy has a longer track record of 11 per cent returns on average annually since inception in 2002 after fees. CSL, Aristocrat Leisure, IDP Education and Reliance Worldwide were popular holdings identified by Mercer among the most successful managers.